Casimpo is the new online casino that you can already visit and enjoy a few more games there, because it operates non-stop 24/7, and fully supports any kind of device found at most households. The thing is, casino Casimpo is not just any gambling website; it will surpass even the wildest expectations – all due to its highly resourceful platform, and the successful marketing campaign involving plenty of bonuses. One can always expect the best kind of treatment here, and it comes to the many activities at hand, which help to build a successful relationship between the client and the service. But don’t just take a word for it – go check it out right now, to have an extremely good time and every single moment of it. Of course, there are certain restrictions that are still going to apply here, and everyone who would like to join must be at least 18 to do so. 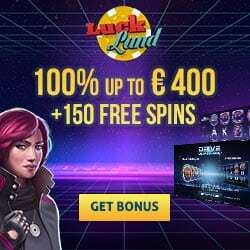 Of all the new gaming sites, Casimpo seems like a perfectly suitable place for beginners, as well as those who are already familiar with such entertainment in the first place. It certainly makes gambling seem easy – which it definitely is, but with the help of its user friendly interface, there is no doubt it’s going to be even more enjoyable than ever. You can choose between either Swedish, German, or English, because the website fully supports those languages, as it does with a few other features, which are kind of a fun thing to explore further on down this path. If you choose to sign up with the Casimpo casino program, then you will be able to play the many games provided to you by NetEnt, Thunderkick, Microgaming, NextGen Gaming, QuickSpin, ELK Studios, Rabcat, and Iron Dog. Some of those online slots would actually be Lara Croft: Tomb Raider – Secret of the Sword, Blood Queen, Jurassic World, Renegades, Wicked Tales: Dark Red, Dragon Wins, Forbidden Throne, and many more.